Why You Need Radiators (even in the summer). I have a good friend who had the misfortune to suffer a life threatening illness. Thankfully she is now fine, but it left its mark in many ways, not least in how she views friends. When you are literally in a life or death situation you begin to reassess your priorities. One of the things my friend did was think hard about her circle of friends. Some had been brilliant been throughout her illness and some had not. She used a shorthand to describe them, radiators or drains. Drains do just what their name suggests; they drain you. One hour in their company usually feels like two. They are focussed on their own issues and pay little attention to yours. It’s not an equal relationship. Now, we are all ‘drains’ from time to time, in the sense that sometimes we are the needy one in a friendship and sometimes we are the giver, and sometimes the balance is perfect. I’m not talking about the normal give and take you get in any relationship. I’m talking about those encounters with people that consistently leave you tired, drained and less happy than you were before you had the encounter with them and who contribute very little in return. With radiators, however, the reverse is true. An hour in their company leaves you feeling better about life and the world. They are positive people, tuned into the emotions of others, and genuinely good friends. You can literally feel their warmth. Offering them support when needed is not a chore; it’s a privilege to be able to help them. How many of each do you have in your life? Do you need to do a bit of drain cleaning… or dust off your radiators? RenewYou is my one day programme for women, available across the globe. 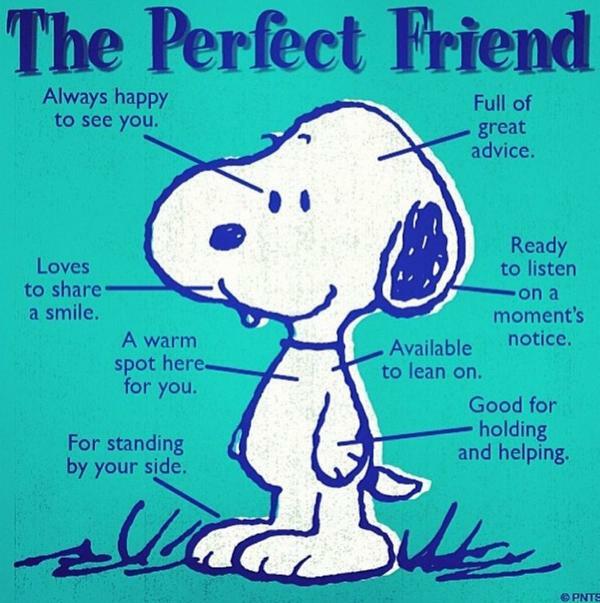 The cartoon comes from the very excellent Snoopy, The Perfect Friend © 2013 Peanuts Worldwide LLC – You can follow him on Twitter @Snoopy. Interesting analogy; I must admit to having HAD more ‘drains’ than radiators. On the other hand I didn’t hold on to my ‘drains’ and this has resulted in a very small, but far more gratifying and valuable relationship with radiators. I’m not hugely sociable in groups, I much prefer 1 to 1 or a group of 3 together having a fun time, catching up and a blether. This has meant though that my life is more quality than quantity and I’m not running around after people.